Closed Game Structure: QGD (7 part series) After several video lectures on structures that spring from 1.e4 e5, IM John Watson moves on to analyze 1.d4 d5 games. In this series, John tackles the structures that can happen in the Queen's Gambit Declined: 1. d4 d5; 2.c4 e6. The 'QGD' is one of the most played openings, either in classic times and nowadays, with a lot of different variations. Declining the Queen Gambit, Black goes for a strong point in the center, whereas by playing 2. … dxc4 (Queen's Gambit accepted), he would surrender the center. 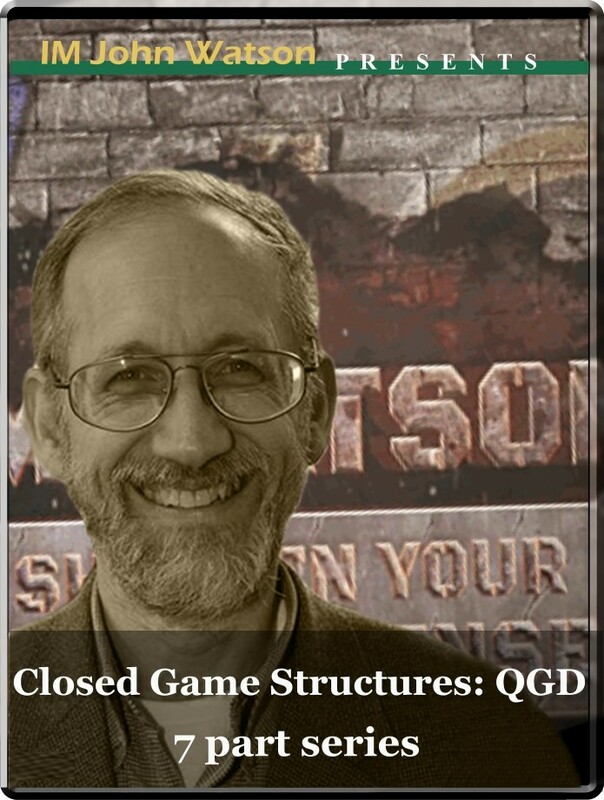 this is why the QGD is considered a 'closed game'.